At this point, you’re likely familiar with the idea of inbound marketing, if not actively involved in the practice. Inbound marketing involves creating great content to pull visitors onto your website, convert them into leads, and nurture them on their way to becoming customers. But how do you know which of your leads are actually ready for that final sales pitch on their way to becoming customers? And how do you sift out those who won’t ever become customers at all, but have the potential to waste your time and resources? The answer is lead scoring. Put simply, lead scoring means attaching values to your contacts based on their profiles and the interactions they have with your company online. Once a lead reaches a certain score, they are designated "qualified" and thus ready for the next step down the funnel. For example, you may assign points to every time a customer opens and clicks through an email, downloads a piece of content from your site, visits a sales-oriented page on your website, or contacts you for specific product information. When users reach your designated score mark, they trigger a notice to your sales team to make contact. Lead scoring can also be applied to certain characteristics of a user or their related company. Here’s another example: If your focus is B2B, you may assign a certain number of points to a company depending on their staff size, annual revenue, or employee interaction with your brand. This will help you identify which possibilities would be more lucrative to pursue. The immediate benefits of a lead scoring system are obvious. A contact who shows intent to buy or engages enough with your online presence to signify said intent will be served well with a call from your team. On the other hand, a first-time lead who may have just signed up for a specific piece of industry-related content is far from ready to become a customer. Lead scoring enables you to distinguish between these two (and many other) types of leads, improving your efficiency in turning your marketing efforts into sales successes. But don't just take our word for it; in a 2013 study on lead generation, 68% of successful marketers cited lead scoring as most responsible for improving revenue. "That's all well and good," you might think to yourself. "But it sounds complicated. How do I set up lead scoring to make sure it works in real life?" Fortunately, modern marketing software and CRMs—like our partner HubSpot—make the process easy for marketers. Begin by establishing your lead scores on paper. This should begin with a conversation between your marketing and sales teams, discussing just how much value the many potential steps a lead can take have in turning that lead into a customer. For example, opening a marketing email from you shows engagement, but probably won't swing the pendulum—a low score is appropriate. On the other hand, visiting your site's pricing page several times shows a higher degree of urgency, while downloading a coupon from your website probably means your lead is close. Both actions deserve a higher individual score. Next, determine your lead qualification threshold. How many points will make a lead qualified? This measure, much like your individual lead scores, is highly subjective, and can be adjusted as needed if the results aren't as desired. But generally speaking, the threshold should be a score that your leads can only reach if they take at least one urgency-indicating action or a variety of low-score engagement actions. Finally, set up the automated process in HubSpot. Using the software's intricate system, you can not only assign lead scores to individual actions and set your threshold. You can also assign a lifecycle stage to your individual leads based on their score (e.g. from lead to sales qualified lead), which will significantly help your reporting and understanding of your sales funnel. You can even set up the system to send automatic triggers once a lead is sales qualified, notifying your sales team when they should reach out. You can read about the intricacies of setting up a lead scoring system in HubSpot in this comprehensive tutorial. Lead scoring can help make your inbound marketing efforts come full circle. By ensuring your sales team only contacts hot leads who have shown enough interest to become customers, you can increase your efficiency and save valuable resources. 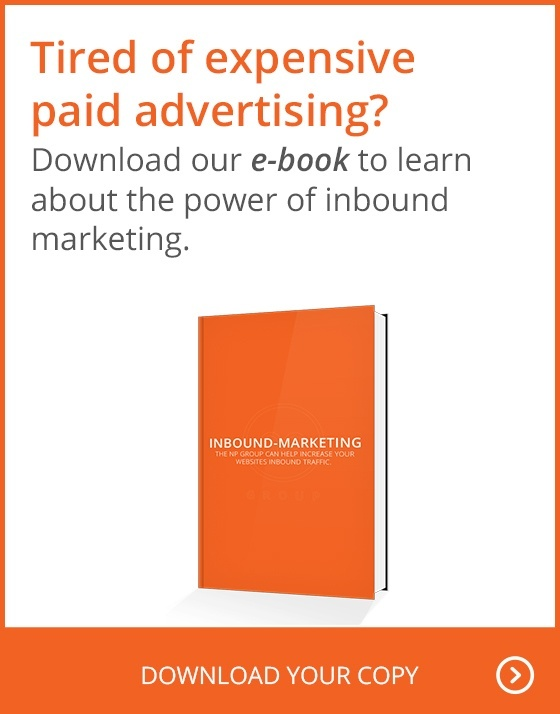 Want to learn more about inbound marketing? Check out our free ebook.